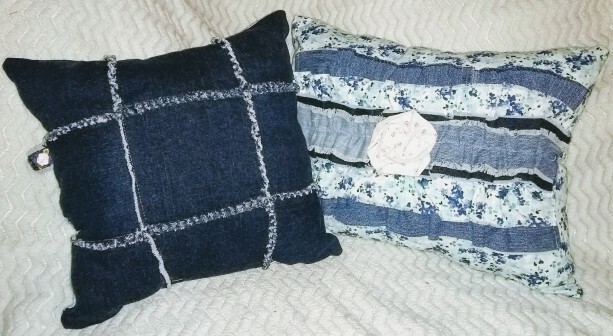 Two denim pillows for one price. 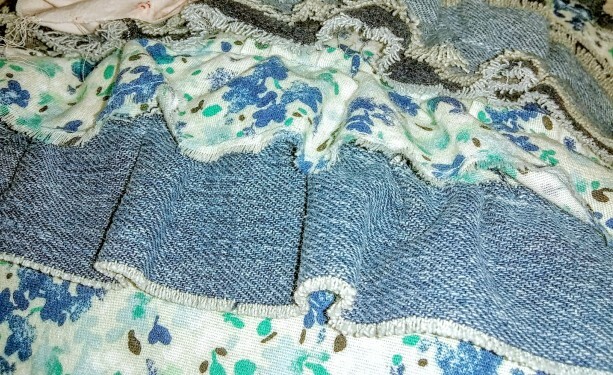 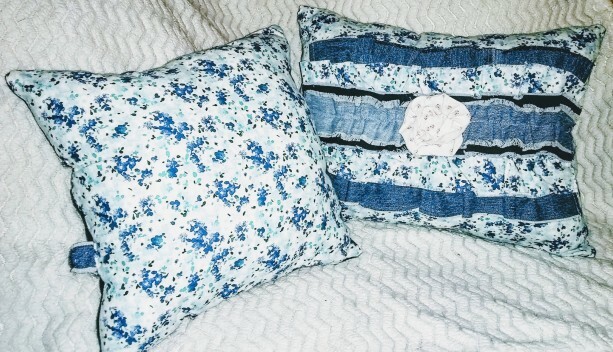 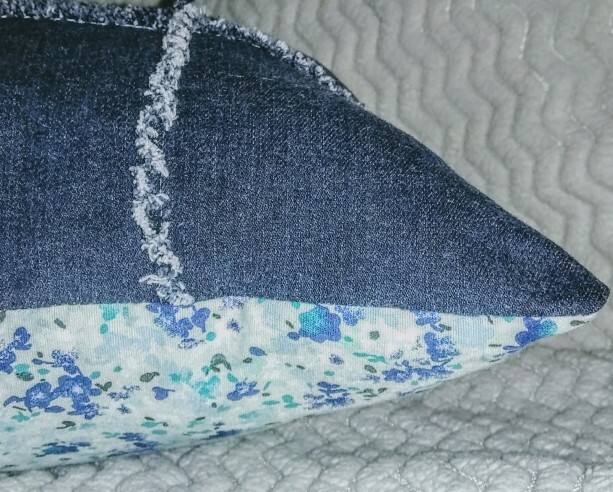 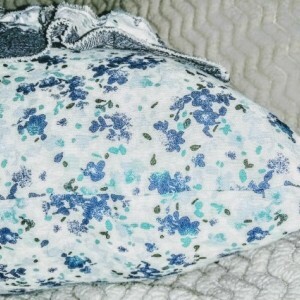 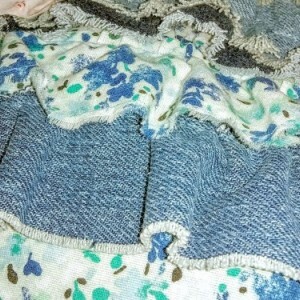 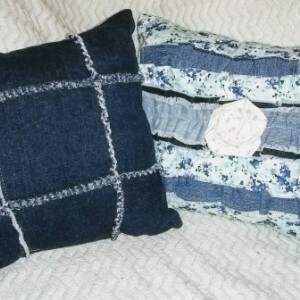 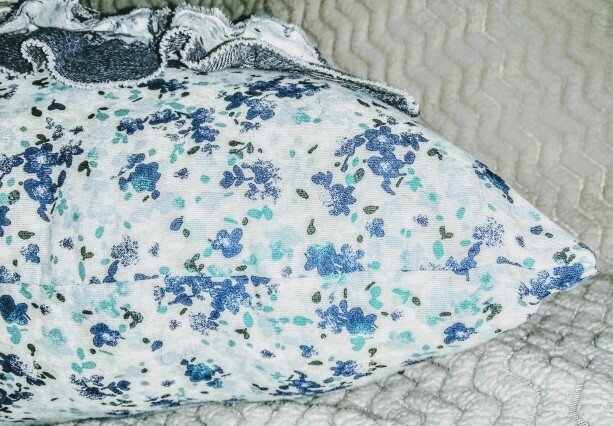 A patchwork denim fringe decorative pillow with a blue floral backing matching a denim ruffled blue floral Decorative pillow. 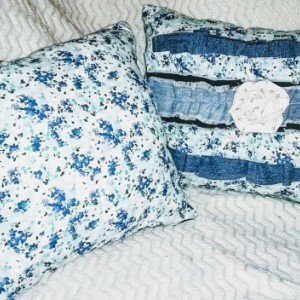 Handmade and crafted. 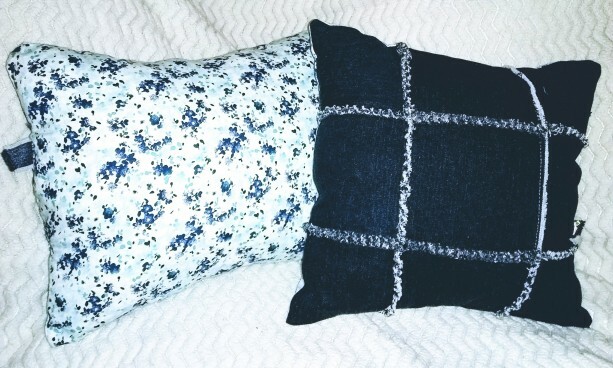 Reversible pillows. 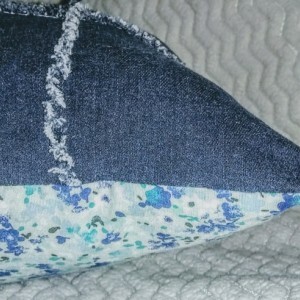 An original by Home Vibes. 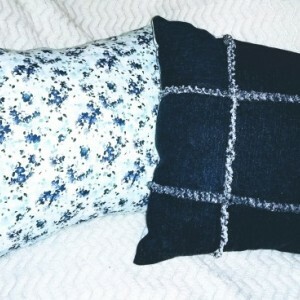 ** Light and electronic screens may alter slightly the coloring of the pillows causing the colors to vary somewhat from the advertisement.